New Diorama Theatre has joined forces with Camden People's Theatre to run a brilliant Youth Theatre for the Camden area. Camden Youth Theatre is completely free to attend and introduces young people aged 13-19, who live or go to school in camden, to the skills they need to make their own inventive new theatre. 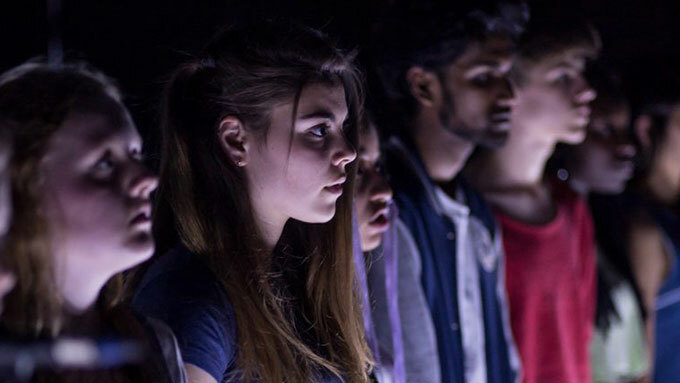 CYT work with top professional theatre makers, creating new shows and performing at two of London's best studio theatres: here at New Diorama Theatre and Camden People's Theatre. Camden Youth Theatre is led by Gemma Rowan, who has extensive experience working with young people. She is co-director of celebrated young company Sounds Like Chaos, and is a professional theatre maker with her company Mingbeast. Gemma works with our local young residents to produce exciting and accessible theatre, the company work collaboratively to create performances that specifically showcase their views and voices. Camden Youth Theatre is supported by rehearsal partner, Old Diorama Arts Centre and John Lyon's Charity.